1 spooky place | This Blog Rules | Why go elsewhere? Now that Halloween has passed, it’s safe to tell you about 7 places on earth that will give you shivers since, you know, going there ON Halloween would have been truly asking for it. However, as these real-life locations are spooky at any time of the year, do try not to let your guard down, do silly irresponsible stuff and/or start getting naked while there. Oh, and do not, under any circumstance, listen to the guy or gal with the bright idea of “Hey, let’s split up!”. You’ve been warned! This coastal town in Cyprus is just PERFECT for a holiday! That is, if you’re a big fan of the Fallout game series or any other post-apocalyptic themed work. Because it was completely abandoned when the Turkish invasion began on the 20th of July 1974. 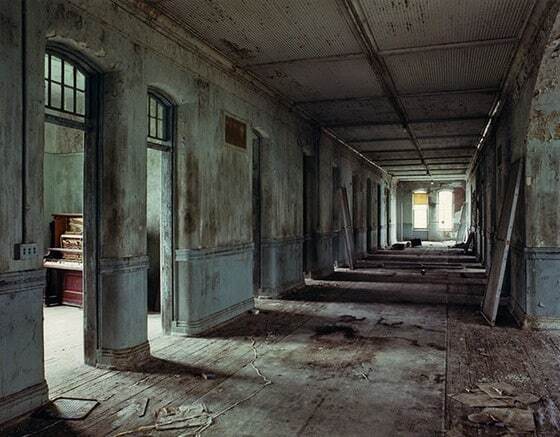 As the name says, the place was an asylum for the chronically insane, but is now abandoned, but many of its fixtures, furniture and equipment remain. As well as the statistical fact that around 50% of the 50,000 patients it had in total during its existence died here, never to return to their homes and family. So if you believe in tragic spirits still haunting the earth, this place has a pretty high chance of housing them. 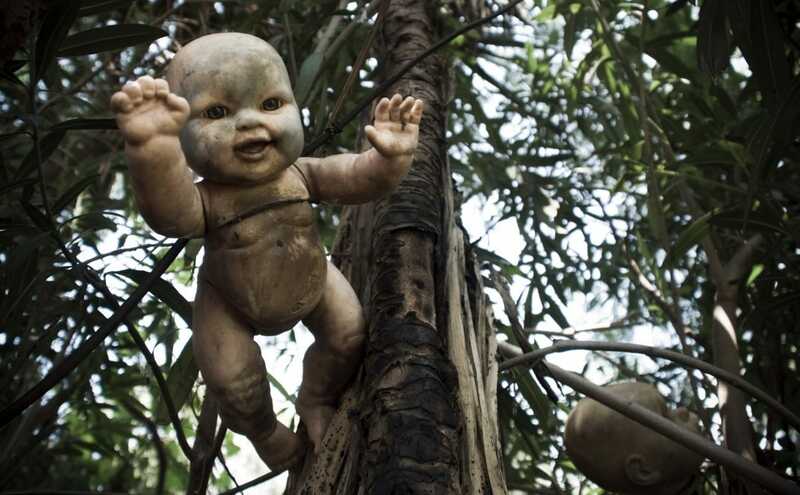 Or the Island of the Dead Dolls, in Mexico, just south of Mexico City is possibly one of the creepiest places on Earth, both because of the visuals and of the story behind them. You see, Don Julian Santana Barrera, the care-taker of the island, according to the legend, was not able to save a little girl from drowning due to mysterious circumstances. So he tied her doll, that he found floating nearby in the water to a tree, in her memory. Then, he kept tying other dolls around for the rest of his life until his death by apparent suicide in 2001, in allegedly, the same spot that the girl drowned in. Now the stories go that the dolls are possessed by spirits, they move and even whisper to each other. 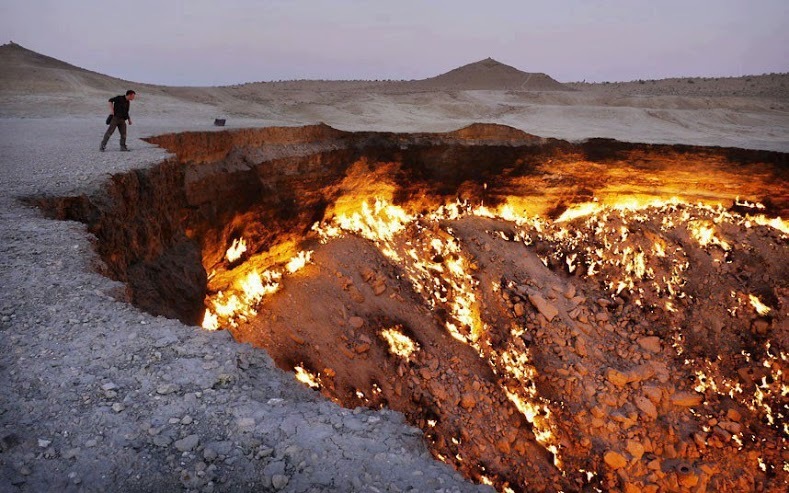 If you’re more Hell, fire and brimstone inclined in your fascination for creepy places, try Turkmenistan and it’s so-called Door To Hell. The name is apt to describe the impressive fire that has been burning constantly for the past 40 years in a pit that was once a gas field, that the Soviets set on fire. So, yeah, you won’t get to see real demons, unfortunately(?). 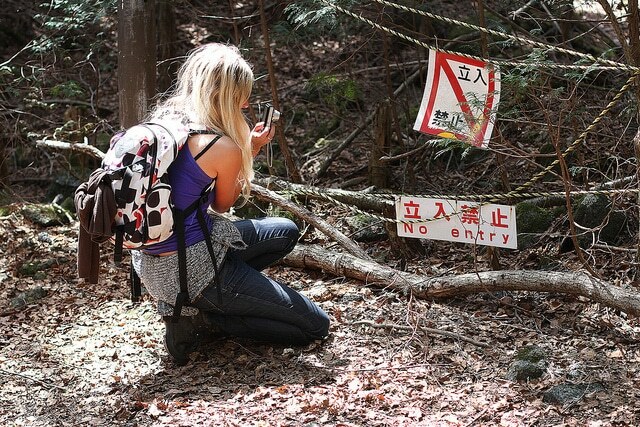 Also referred to as the Suicide Forest. For good reason. Because is the place were enough suicides have happened over the years that it now has a reputation as the place to go in Japan if you’re planning to take this final, sad decision. This is, sadly, not an exaggeration. As one of the park rangers’ regular activities is to go and see how many bodies they have to collect and bring back to other authorities. In Celles, in Belgium, there is this castle whose history boasts both having been a place where the French aristocrats fled from the Revolution as well as an orphanage after World War II. 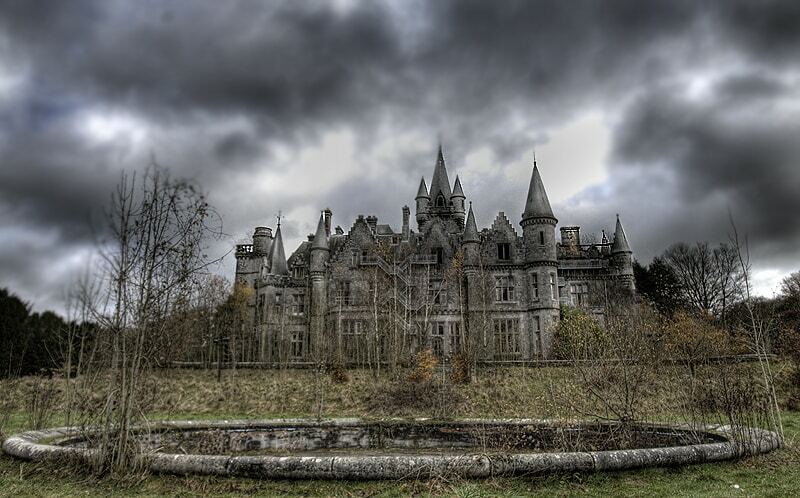 Once abandoned in 1980, the owners refused to allow the authorities to maintain it, so it has been since, slowly, deteriorating into the perfect spooky castle. Nicknamed The Lion City, and founded about 1300 years ago, this city was an important cultural and trade center of the region in the past. But modern demands were deemed more important and it was purposely flooded by the government in 1959 so that a hydro power plant could be built. 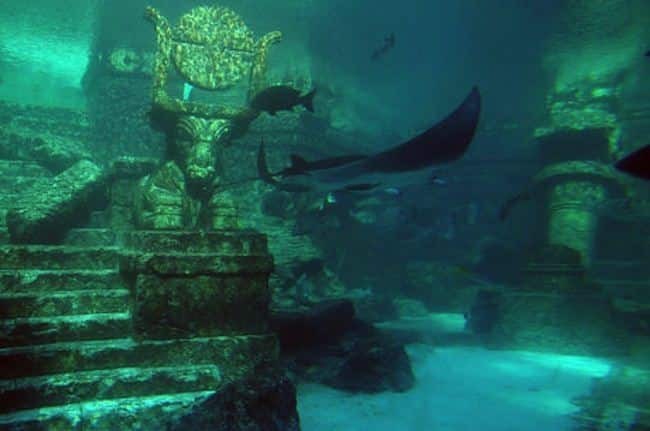 Ever since, it’s impressive (and creepy) old buildings have been watching under the water, a sight for anyone brave enough to put on a diver suit and go visit. Image source: 1, 2, 3, 4, 5, 6, 7.